Wintertime in Kennebunkport, Maine is easily the area’s most romantic season with plenty of great things to do to keep you warm. From Thanksgiving to mid-March, this historic seaside village is transformed into a winter wonderland with a dusting of snow. Christmas Prelude, a two week celebration at the beginning of December, kicks off the winter season in town. Homes and businesses in the area are decked out in stunning displays of lights and traditional Christmas decor. From tree-lightings and caroling to craft fairs and parades, the Christmas spirit comes to life during one of the nation’s best Christmas festivals. Unlike many seaside destinations along the Maine coast, you’ll find shops, boutiques and galleries open all winter long. Celebrate the season of romance with “Paint the Town Red” (formerly February for Lovers). As one of New England’s most romantic towns, Kennebunkport is aglow with shades of red and pink to celebrate romance all February long and romantic packages, “red plate specials” and date-night activities fill the calendar. Select a room or a suite with a gas fireplace or a whirlpool tub to set the tone for your romantic and relaxing getaway. Unwind by curling up in front of the fire, work on puzzles or check out our assortment of card and board games. Each afternoon, enjoy freshly baked cookies, tea, cocoa and cappuccino around the living room fire. The southern Maine coast has many opportunities for year-round recreation and winter is no exception. In fact, the stunning scenery is often best explored during the winter months with cross country skiing and snow shoeing. Bring your own equipment and blaze a trail on area golf courses and nature preserves or rent equipment at the nearby Harris Farm. Its groomed trails and warming hut (complete with snacks and hot cocoa) are ideal for a day in the great outdoors. Wintertime would not be complete without ice skating and fortunately for those who bring their own skates, there are several opportunities right in downtown Kennebunk. Choose a truly old fashioned experience by skating on Rogers’ Pond or enjoy skating on the newly constructed indoor/outdoor rink on Main Street. Those who lack skates of their own need not worry. Nearby Biddeford has an indoor skating rink with rental options as well as the Outdoor Westbrook Rink in Biddeford Pool. No winter getaway in New England would be complete without a scenic horse-drawn sleigh ride. Rockin’ Horse Stables harnesses its draft horses to tour its fields and woods in the snowy weather. Cups of hot chocolate and thick blankets will keep you warm during your ride through the countryside. There is no better time to enjoy the rich history of coastal Maine than in the winter. 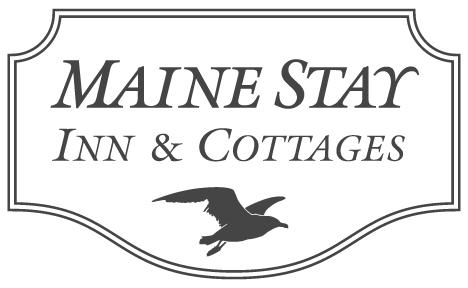 The Kennebunkport Historical Society and the First Families Museum are located just steps from the Maine Stay Inn. 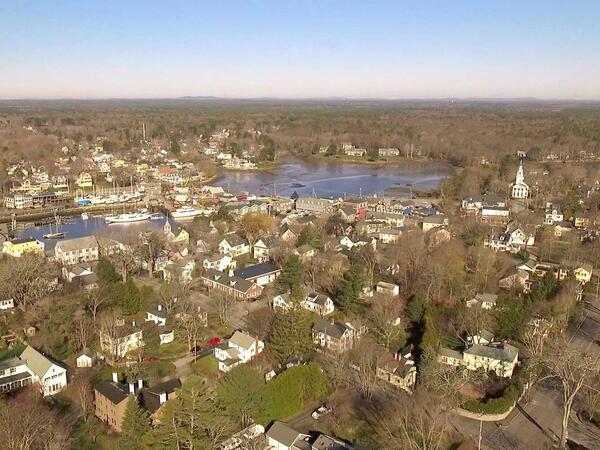 They offer a unique take on the rich seafaring history of Kennebunkport and the presidential family that resides here. For more on the region’s history, the Brick Store Museum boasts a very impressive collection of antiques and historical memorabilia in a lovely row house style setting. Nearby Portland is home to the Victoria Mansion, a national historic landmark. Decorated to the nines for the holiday season, its winter tours are especially impressive, but this premier example of pre-Civil War opulence is a treasure sure to delight visitors at any time. The renowned dining scene in Kennebunkport doesn’t lose its luster during the winter season. Visitors to the region typically enjoy cozy and romantic spots that are in keeping with the intimate winter getaway they’ve imagined. Joshua’s Restaurant offers an intimate feel with small dining spaces in a Colonial home, white tablecloths and candlelit settings. This establishment also has lovely fireplaces to warm the rooms and the moods. The Village Tavern, about eight miles from the inn, boasts a reclaimed bar area, white tablecloths and an incredible menu with options ranging from lamb shanks to fish fingers and everything in between. Ports of Italy, with a stunning fireplace overlooking the harbor, serves up rustic Italian cuisine in a cozy setting. Each afternoon, guests enjoy freshly baked cookies, tea, cocoa and hot coffee around the living room fire. Visitors often curl up by the fire with a good book, work on a puzzle or play a casual game of cards.